07.01.2014 - Tusmobil has started offering an e-billing option that replaces the current paper based monthly bills. 17.11.2012 - Telekom Slovenije has signed a EUR2.5 million contract with Ericsson for a LTE upgrade. In a few months all of the major cities in Slovenia will have LTE coverage. 16.10.2012 - Slovenia's Tusmobil told the Slovenian Press Agency that its customer base has now reached 250,000. 02.10.2012 - Si.Mobil is using Nokia Siemens Networks supplied kit for its LTE network. 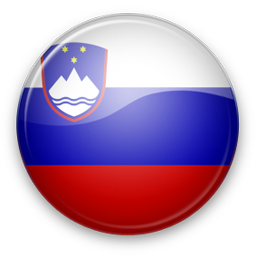 Q: Do you support all Slovenia networks? A: We support SI.MOBIL d.d., T-2 d.o.o., Telekom Slovenije d.d. and other networks. If some SMS network is missing please contact us and we will find solution for you. We work worldwide!